Longing for photo-perfect skin? 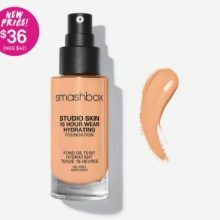 Try Smashbox Studio Skin Foundation and Photo Finish Primer for that poreless skin – because you can take 30% off if you purchase them together on Smashbox.com! Just add both to cart and use code SKIN30 at checkout. Get a set before the promo ends on 21st April, your skin will thank you later. Smashbox ships free within US for all orders, Buyandship will bring your order back at affordable shipping fee. 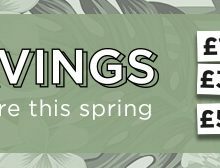 Enjoy huge savings with The Hut’s Spring Savings Promo! Save £15 when you spend £60, save £30 when you spend £100, and save £50 when you spend £150! Simply use code “SPRING” at checkout to redeem this offer. Whether you are looking to update your wardrobe, home, beauty routine or even treat someone special, The Hut has got it covered. UK Standard Delivery is FREE on orders over £30, make sure you are a Buyandship member to take advantage of that.